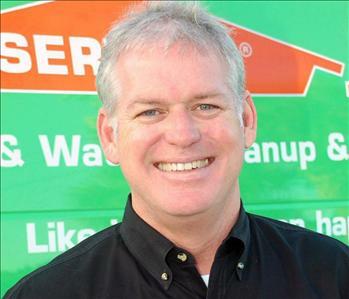 John Robertson is the Owner of SERVPRO of West Brevard. 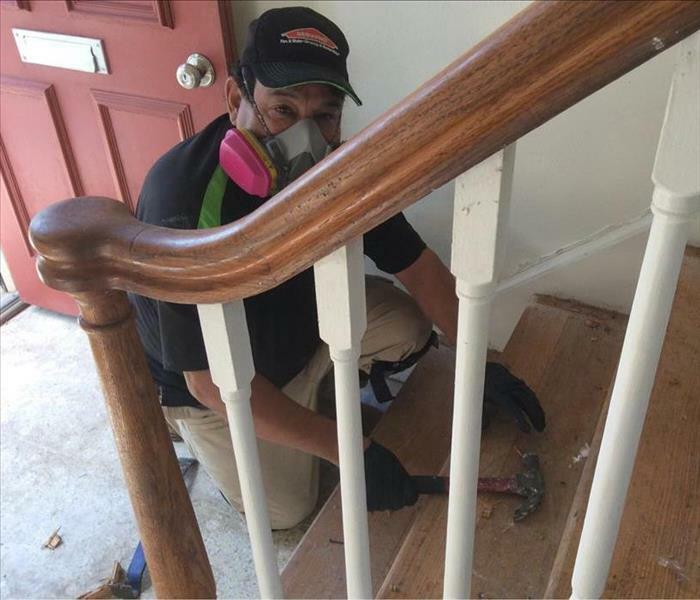 Because disasters usually strike when you least expect it, SERVPRO of West Brevard is here 24 hours a day to help you put your home or business back to pre loss condition. We understand the stress and worry that comes with fire and water damage. Our Office and SERVPRO Team proudly serves Viera, Palm Suntree, Palm Shores, Merritt Island, Rockledge, Melbourne, West Melbourne, Patrick Air Force Base, Cocoa Beach, Cocoa, and surrounding areas. 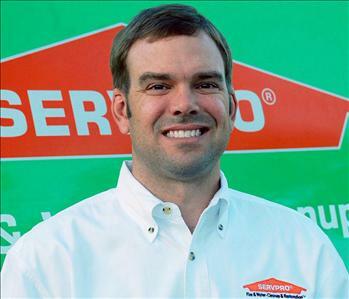 Gavin is Chief Operating Officer at SERVPRO of West Brevard. He oversees every facet of our operations, ensuring all departments are running smoothly. For water damage or fire damage in the Brevard County area, give Gavin a call at (321) 953-8600. Bill gathers all the pertinent information about your loss, and produces an estimate that will explain our plan to return your home or business back to preloss condition. Bill is a Brevard County native and is IICRC certified in Water Damage Restoration as well as Applied Microbial Remediation. With several years' experienced in estimating Fire, Water and Mold mitigation as well as reconstruction, Bill has taught classes for any Property Managers, HOA Board Members, and Insurance Agents in Brevard County. Whether it is water damage, fire damage or mold damage Bill can help put together a plan mitigate your damages. Alex Joseph is a Crew Chief at SERVPRO of West Brevard. With an IICRC Certification in Water Damage Restoration, Alex will lead his team to restore your home or business to preloss condition. If it's flooding that concerns you at your Melbourne Beach home you can count on Alex and his crew to get the job done quickly and smoothly. Devon was born and raised in Palm Bay, Florida and attended Bayside High School. Before arriving at SERVPRO of West Brevard almost 3 years ago, Devon was in the masonary and construction industry. While mastering his leadership talents and learning the restoration industry, he became IICRC certified in Water Damage Restoration. If its mold that concerns you at your Viera home you can count on Devon to get the job done "Like it never even happened." 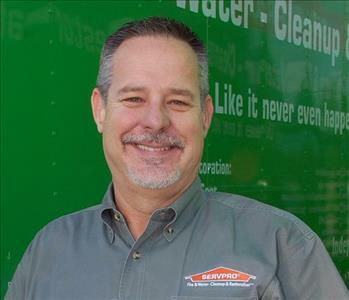 Bill Grabowski is a Construction Manager at SERVPRO of West Brevard. Bill is responsible for restoration of water damage, fire damage, etc. He is detail oriented and has good communication skills for both customer relations and office staff. If you have need of construction services after a water or fire loss in Viera call Bill at (321) 953-8600. John has been a part of the SERVPRO of West Brevard team in our construction department for several years now. He has worked in the construction field for over 20 years and excels at keeping a job on schedule. John always keeps communication lines open with all involved parties to ensure his jobs run smoothly. Greg creates a plan to rebuild your home after our mitigation team removes the damaged materials. With his plan put in place and approved, our construction teams have a plan to work from and make your home look "Like it never even happened." Greg grew up in Tampa, FL and attended Georgia Southern University. Greg has almost 20 years experience in the commercial and residential building industry and is ready to help rebuild your home! Brandon meets with customers before the mitigation process begins, and assesses your damages to builds the plan to return your home to preloss conditions, making it "Like it never even happened." Brandon was born in Maryland, grew up in Nevarda, and came to the Sunshine State 13 years ago. He attended West Shore High School and later gratuated from Brevard Community College with his AA Degree. Mr. Sanders has 6 years experience in this industry, and is IICRC certified in Water Damage Restoration and Applied Microbial Remediation. Andrea is the Marketing Manager on our team, she manages sales and marketing initiatives. If your Brevard County area home or office suffers water damage, our experienced crew is here to help. Heath is a Loss Coordinator with SERVPRO of West Brevard. 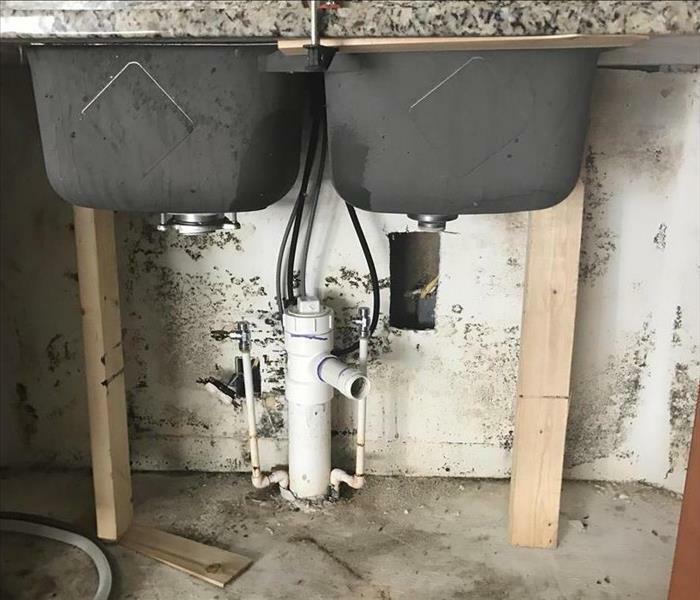 Heath assists clients all the way from the start of a water, mold, or fire loss, all the way to reconstruction to make it "Like it never even happened!". He promotes franchise services to help clients with fire, water or mold damage in the Melbourne, Viera and surrounding communities.